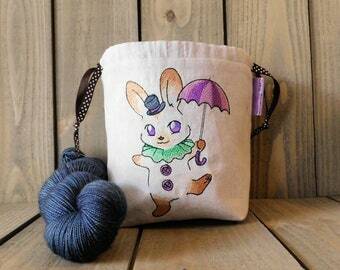 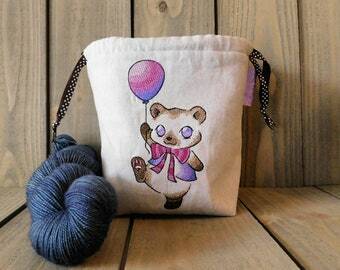 This drawstring bag is perfect for all your sock knitting needs. 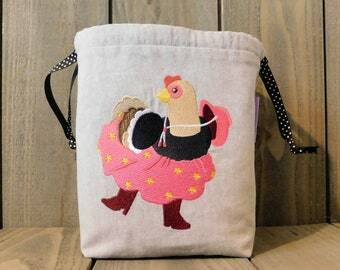 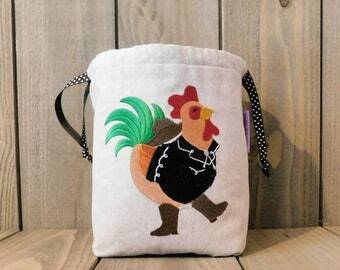 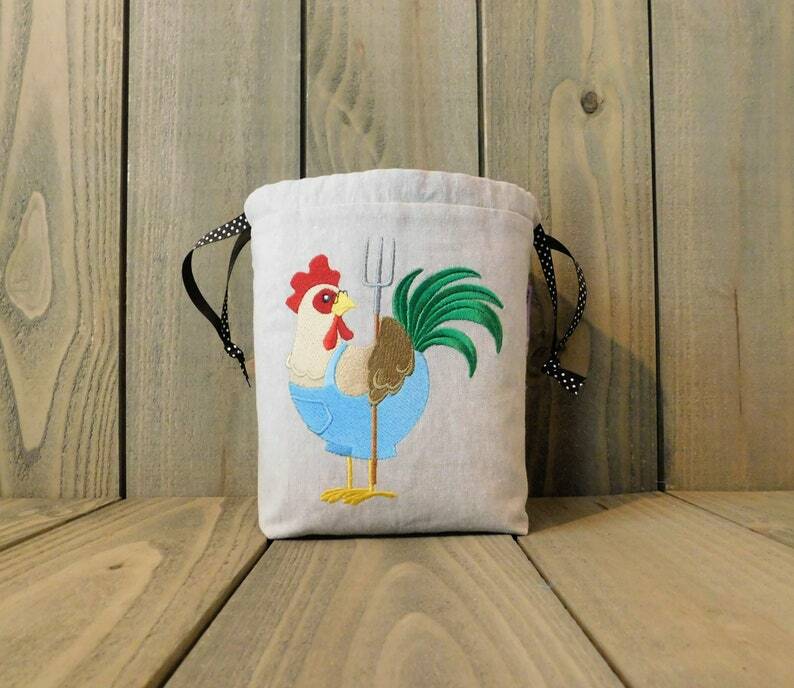 Country Chickens - Reginald Rooster is embroidered on one side. 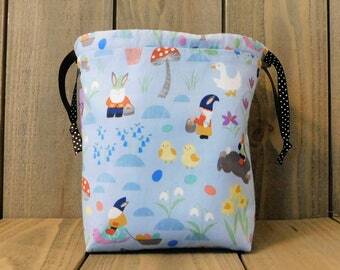 The other side of the bag is plain fabric, which is perfect for your enamel pin collection.